ABC watches are great. Mine is Suunto X-Lander, and I love it. I find an accurate altimeter to be a very useful navigation tool in the hills at poor visibility, and the X-Lander barometric altimeter is just that. Plus, it allows me to get realistic ascent and descent values for my runs, unlike the grossly overestimated values one gets from a GPS. There is also the compass. Electronic compasses have their quirks, in particular, they are very sensitive to tilt, so some ABC watches have a spirit bubble, and some of the newer models are tilt-compensated. The X-Lander is neither, but I found with little practice it can be used rather effectively. In fact I have got so used to it in the last few years that I rarely take a real compass with me any more. As it turns out, this past weekend I got a stark lesson in how a bad habbit that is, one I will not forget too quickly. I was running in the amazing Kintail hills, full winter conditions above 950m or so, with excellent névé just made for running. 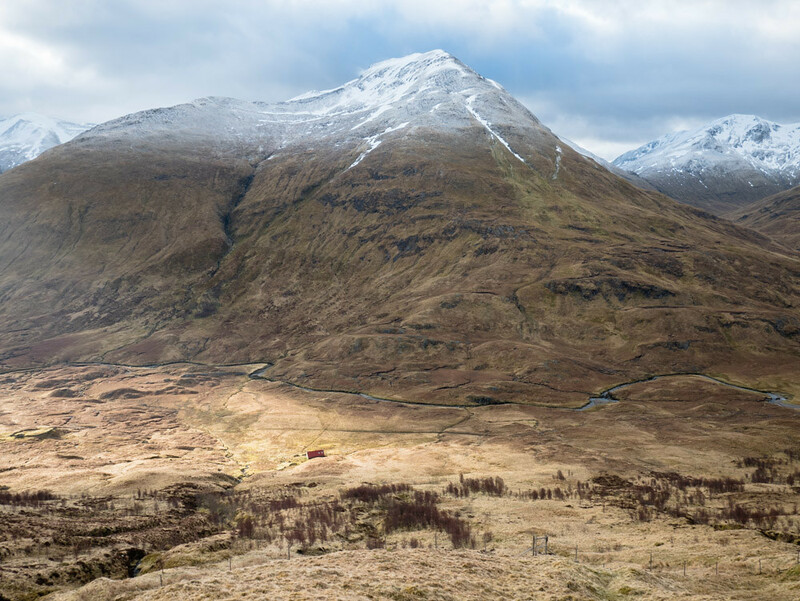 My Sunday's route went from the Camban bothy across Beinn Fhada ridge to Camas-luinie. It was a bit windy and showery to start with, with more weather coming in, and by the time I reached the summit of Beinn Fhada visibility dropped to about 5m and wind picked up considerably. Nothing too epic, but the sort of conditions you really need a compass if you are to navigate your way into a fairly narrow corridor with cornices all around. I am not sure what went wrong with the X-Lander, as matter of fact, recalibrating the compass later fixed it, but that's not something you ever want to have to do in the middle of a gale on an open hill.